The Kindle Voyage is going to be discontinued within the next few months and the only model is that is available is the WIFI and Special Offers version, the 3G variant has been sold out all year long. Amazon has just permanently discounted the Voyage today, the old price was $199 and the new one is $149.99. Sources in the supply chain told Good e-Reader a few months ago that the Voyage will likely not be replaced with a new model, it will be totally discontinued. This is because the Oasis is the flagship e-reader in the Amazon portfolio and there is no room for the Voyage, which used to be the top tier device. Amazon is going to offer a three SKU strategy for the next few years; the Kindle, Kindle Paperwhite and Kindle Oasis. Amazon has been selling the Voyage since 2014 and it is still relevant, if you are replacing a really old device, I would recommend to buy it at this price point. 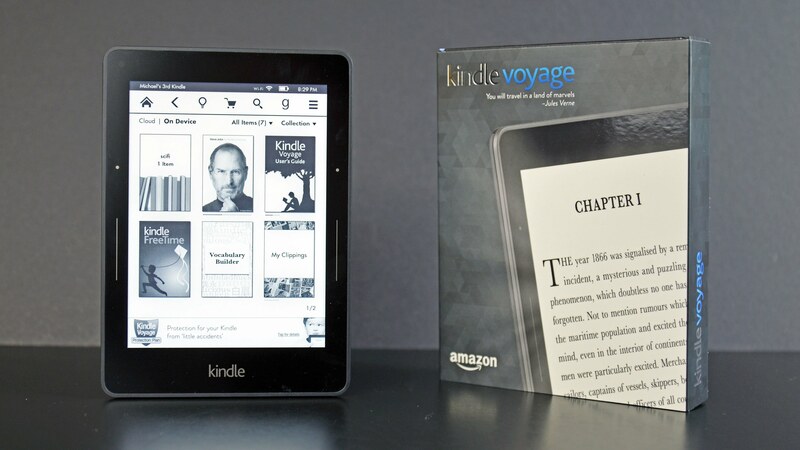 The Amazon Kindle Voyage features a six inch e-ink Carta display with a resolution of 1430 x 1080 and a 300 PPI screen. The screen is completely flush with the bezel and ditto with the page turn buttons. Whenever you turn a page you are greeted with a small vibration that is courtesy of haptic feedback.